Lone Wolf has come a long way. It keeps doing that. 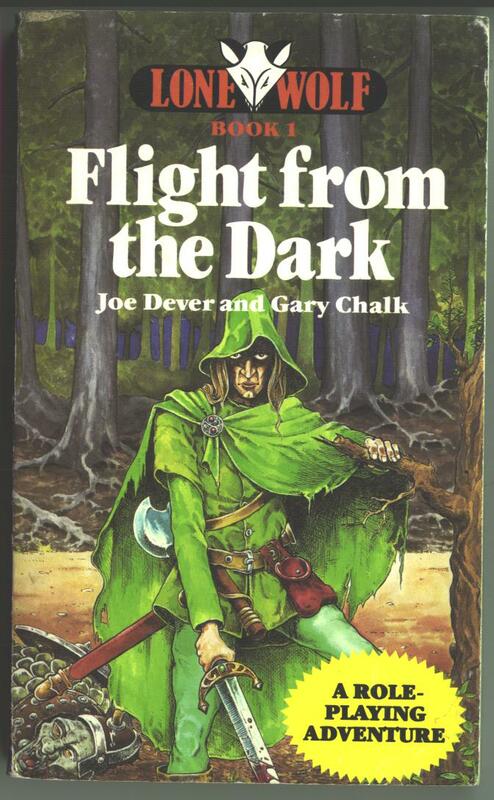 Once upon a time, the names Joe Dever and Gary Chalk appeared atop this little, yet growing, gamebook series. Then it kept growing. It did spinoffs, even, and rumor has it that a videogame or two showed up on that newfangled ZX Spectrum. I became aware of a resurgence years later when I heard tell of a Lone Wolf MMORPG. "Magnamund Studios," eh? Who are these fine folks? Well, a short-lived bunch. But I believe it was through the brief time I worked with them that I became aware of Project Aon, and thereafter Lone Wolf roleplaying games. Oh, and since then, more videogames got released anyway. But there was one game missing. I still had my old copy of The Magnamund Companion, and I remembered the chapter "Modelling Magnamund." Ah, real playing pieces! Dramatic battles on the tabletop! Yet it wasn't a real game for sale. Thirty years ago, Gary Chalk started developing Lone Wolf - The Board Game. I'm pleased to share with you our Kickstarter project for the first printing, live now until December 5. Click this link to see the project. I've talked with Gary during the preparation of the Kickstarter. This is a man worth catching in conversation. When I simply asked how to say his name, cautiously hoping that his last name wasn't pronounced some funny way, he replied "I answer to anything, up to 'Stop, thief.'" Beyond that, he answered my questions about The Magnamund Companion. I would have thought that the pieces were authentic "Lone Wolf tabletop game pieces," but no, there never was any such thing. Gary either created or repurposed (and certainly repainted; a hobby which he loves) everything in those old photos. 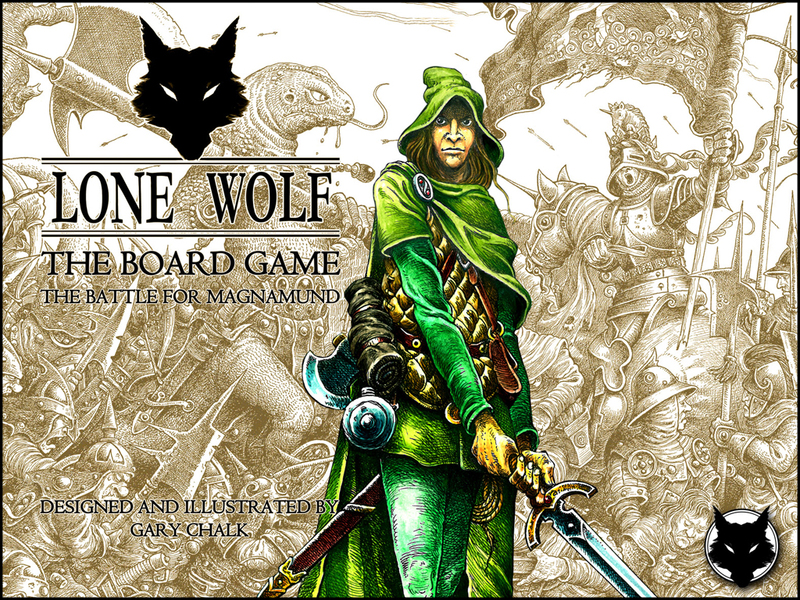 The game we are trying to fund now is the first and only "tabletop board game" this classic fantasy world has ever seen. 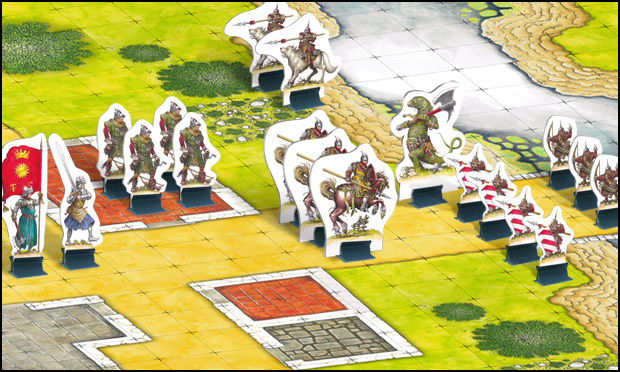 It's more of a wargame, really, but being played on a board helps it run a lot more quickly and smoothly. Speed, in fact, is one of the main selling points, and the project page discusses how quickly it runs for such a detailed simulation of Lone Wolf. And goodness, does it work at that latter: the premise of the game's premade scenarios is to re-enact the battles of the early gamebooks on the tabletop. I intend to do a project update (this here is the person maintaining the page) where I bring the readers with me in preparing one such scenario. And it almost goes without saying that Gary's art has only gotten better over the decades of practice since he illustrated the first books. All the playing pieces are 2-D art from his pen (and brushes). Modern sensibilities might say 3-D miniatures are necessary in such a game; perhaps the modern version of what was shown in The Magnamund Companion. I say 3-D has its place, and there's nothing like letting an expert 2-D artist loose on a project he loves. As it looks now, a good chunk of early project backers seem to agree. I'm enjoying sharing this project with the world. In part, though, the best aspect simply is getting to talk with an amazing childhood hero on a regular basis and realizing that "hero" and "amazing" do apply. Congratulations, Richard! you published the 500th post for this blog! Oh ho! I didn't realize your blog was reaching that milestone. Congratulations! I'll try to have more things to say into the future. The board game is our first priority, but eventually there will also be word on the spin-off gamebook Autumn Snow (spin-off from the original series, not spin-off from us).